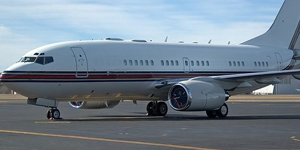 The BBJ, short for Boeing Business Jet comes in a few variations for charter, but if you are the owner, customizations are limitless. Just think it up, and you will have it created. 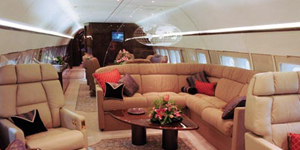 From largest flat screen TV’s to king sized beds and Gold faucets, The Boeing Business Jet for sale or chartering a Boeing Business Jet are for travelers with many people or for individuals who prefer the most elite travel experience. These are the largest VIP configured aircraft in the world. Loved by Kings and Queens, Sheikhs, and royal families all around the globe. Dependent on the Boeing Business Jet variation, this aircraft can perform flights up to 5435 nautical miles, seating up to 199 passengers. When these planes are outfit for VIP flights, you will generally find seating capacity limited to 18-80 passengers with first class seats or couches.